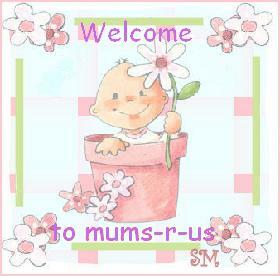 Welcome to mums r us! WELCOME TO MUMS R US! PLEASE READ THE RULES HERE BEFORE POSTING. Here you'll find updates and new features on the mums-r-us forum and website. Have a question about the site? Want to add a tip? Air your views with other like minded, or not so like minded members. Will your opinion change? Come and have a natter. Want to get hold of someone but don't want to PM? Yes, it's here again. Starts on wednesday the 30th at 9pm. Come here to post anything to do with the latest series of Big Brother. Got something exciting to tell? Or some sad news? Share it here. Heard a funny joke? Got a hilarious clip? Share it with us. Post a poll and see the results! Got any spoilers? What to talk about a storyline, drama, or new music? For all of you ladies with bumps! Come discuss the ups and downs of your pregnancy. Brag or moan about your families! Share your triumphs and failures with others in the same boat. Holidays and days out. Know anywhere nice? Be it a healthy meal or a naughty dessert, post it here. Come here to post or find money off vouchers/codes and money saving tips. Have a look at the latest competitions. Enter to win a prize! See the latest winners of the mums-r-us competitons and what prize they've won! Do you have a child, family member, or friend with special needs? Off load your worries and share their achievements. On cloud nine? Or hitting the rocks? Share your grief and memories of a lost one. Looking to lose weight or start eating healthily? Share your feeling with those who are going through the same thing. Any suggestions for the mums-r-us website? Any suggestions for the mums-r-us forum? Have a look at our partner links. If anyone wants to add any, please pm or email so I can approve and add it.